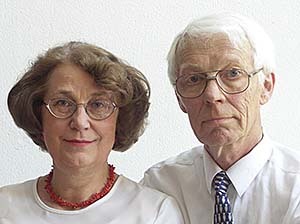 The experiences in analytical chemistry for the Lagesson couple, Dr. Verner Lagesson and Dr. Ludmila Lagesson-Andrasko, date back to the 1960’s. At this early stage their research was focused mainly on atomic absorption spectroscopy. Other areas of interest were also methods like atomic fluorescence, gas chromatography and microwave induced plasma detectors (MIP-detectors) for gas chromatography. The work was ever since the beginning, continuously done in parallel between theoretical studies, development of instrumental high technology and application use in various fields. Besides the Lagesson couple Dr. Jan Andrasko is a member of the team. Dr. Andrasko has a background as a physical chemist and has worked with various analytical methods in the application field of forensic science since over thirty years.